When we are catching up with friends with kids in tow, we generally look for the spot that has the kids in mind too. 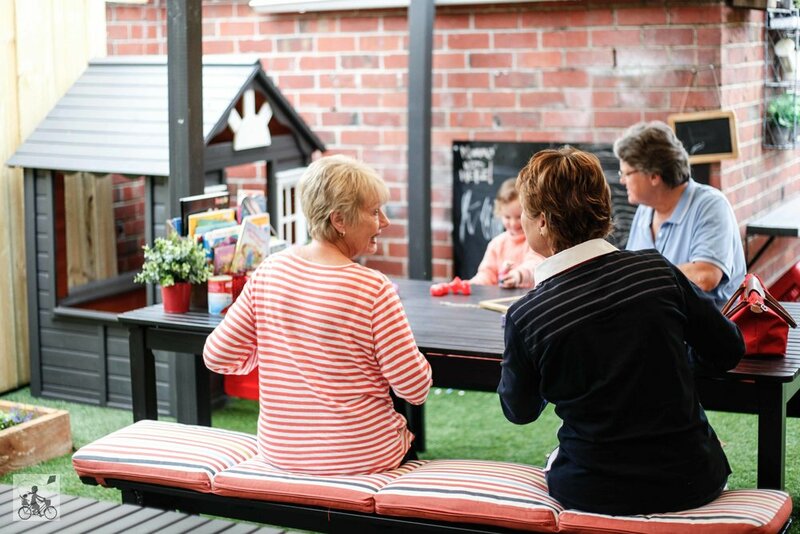 The cubby house and the collection of toys at Lulabelle's lets us all know that the kids are MORE than welcome. The husband and wife team that run and operate the Toorak Road cafe know how important family is and the outside courtyard is ideal for us. It's undercover - tick. There is space to play - tick. What about a blackboard for Mamma to leave her mark - tick! Whether you need a full lunch, a scone and a babycino stop off or simply some party supplies from inside, Lullabelle's has you covered. Mammal's special mention: Outdoor courtyards suitable for families can be found in a number of family friendly spots throughout Melbourne's east including Nature Boy in Murrumbena, Little Kitchen on Lillian in Bulleen, Two Brothers in Mitcham and The Carriage Cafe in Seville!